Many IT companies are in Bangalore. It is sometimes known as a “silicon vally of india” or IT Capital of India. Many different start-ups are emerging in Bangalore. Bangalore along with NCR and Mumbai accounts for 60% of Office Space demand in India. They offer what forward-thinking entrepreneurs are looking for – community and collaboration. 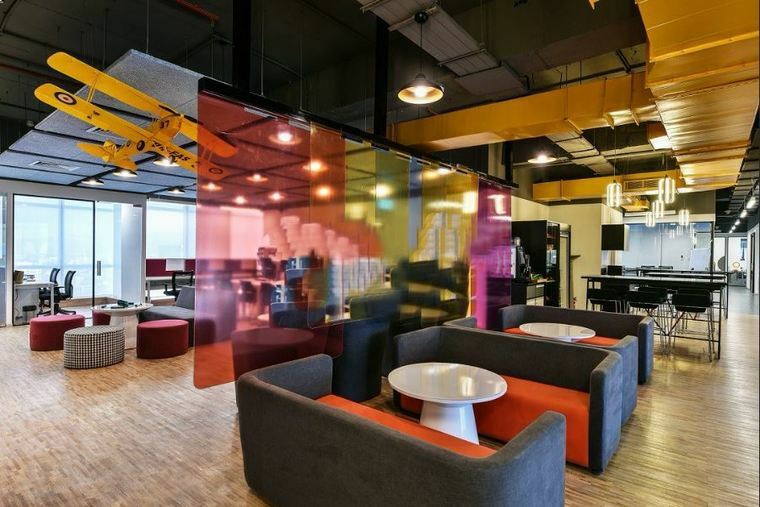 The demand for Coworking Spaces in Bangalore is increasing. 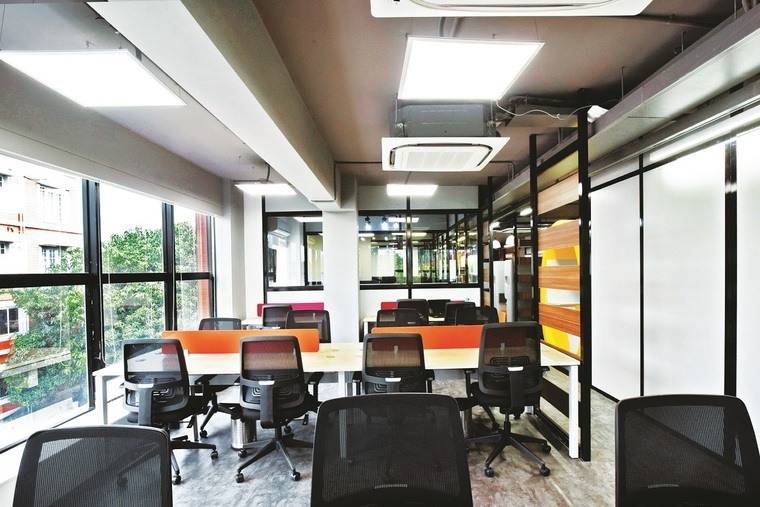 These days start-ups are not keen to invest money in renting or owning office infrastructure. It is estimated to have around 2500 hundred start-ups. It contributes to around 30% of the Start-ups in India. Bangalore ranks amongst top 20 in global Start-up hot spots. Highly educated, experienced yet affordable Tech resource pool makes it an attractive choice as a Start-up destination. Coworking spaces have the facility of hot desk and dedicated desk. In hot desk type you can choose your own desk there is no specified desk. In dedicated Hot Desks, you need to choose a desk which is specific. Coworking is an emerging concept where people from different domain work under one roof and they share the space. It is quite cost effective for start-ups. Coworking Spaces in Bangalore are very useful and essential for Consultants, Freelancers, or People who need to travel frequently for their work. It really accelerates your time for being Productive in Live and Happening environment. You will get all basic amenities in our all Coworking Spaces in Banglore like High-speed Wifi, 4 wheeler parking, 2 Wheeler parking, spacious desks, drinking water. You will get the office as per your location preferences. We as an OfficiningNow.com help people to find out a right Coworking space for their business as per their requirements. 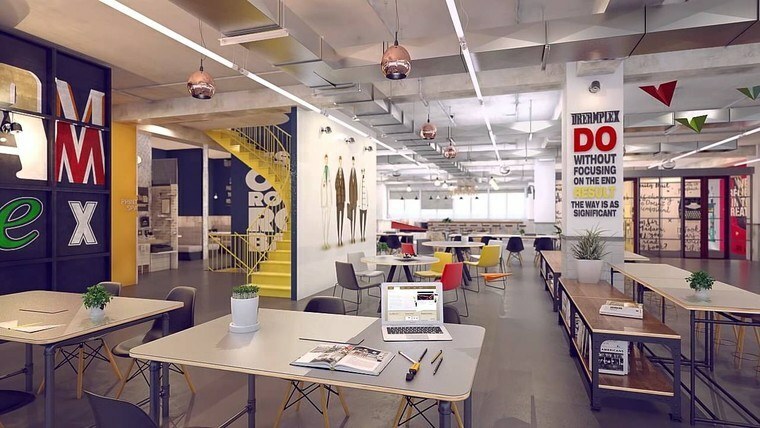 Currently, OfficingNow has many Coworking spaces listed all across India. Most importantly the majority of these are in Business City Hubs like Mumbai, Delhi, Bangalore, Pune, Hyderabad, Chennai and Kolkata. Also note that they are also available in primary cities like Indore, Jaipur, Kochi, Ahmadabad among many others. OfficingNow Web Portal offers comprehensive Search functionality as below. On Homepage Search, you can select Workspace Types as ‘Coworking Spaces’ and Select City or Area/Locality of your interest. The search results are shown immediately. You can click on the Spaces of interest and see all the details of the space transparently. Also, note that the Search functionality is also available for OfficingNow Android and iOS Apps. In addition to the above options if you still can’t find the Coworking space of your choice or if you have a more specific custom requirement that needs to be handled. You can post the requirement with details. Here are a few links below to help you do that quickly. Also, note that OfficingNow often gets back within few hours of submitting the requirement. We keep customers at the centre. Once you have shortlisted and finalised the Coworking space of interest you can Book it quickly. The Booking can be done on Web Portal by clicking ‘Book Now’ option. Once the Venue availability is Confirmed the Payment is done online using various Payment methods like Credit/Debit Cards, Net Banking, Wallets or UPI. 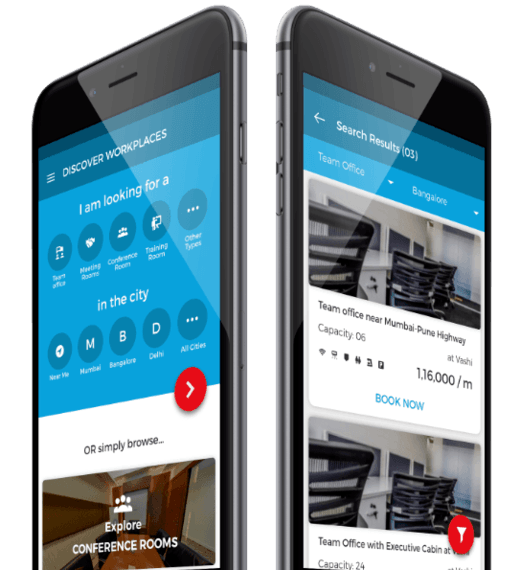 Also, note that OfficingNow Mobile Apps can also be used for Booking and Payments. If you need any additional Amenities or Services like Tea/Coffee, Snacks, Lunch, Projector or any other additional support. Based upon the Space provider facilities support these Services can be available at the Space Usage time. Also, note that in certain cases you can also Book Online these additional Service/Amenities. OfficingNow keeps Convenience of Customers at the centre. OfficingNow Platform has literally thousands of Workspaces listed and readily available across India. It covers more than 40+ Cities, 700 Venues, 2700 Spaces addressing huge seats capacity of around 65000 workstations capacity and it is increasing every day. Therefore OfficingNow is your single point of contact for All your OfficeSpace requirements. I have been pretty happy with officingnow. Very prompt unlike other aggregators. You guys have been very helpful throughout the process. Will definitely recommend.